Music has been a big part of Megan Buchanan’s life for as long as she can remember. Whether it was singing with her church choir as a child, or acting as a student director in her high school chamber choir, she always made music a priority. So it was no surprise when she decided to continue studying it in college, earning her Bachelor of Music degree in vocal performance from the SF Conservatory of Music. After graduating, Megan started working as a nanny, and in the process discovered Music Together®! She’s attended classes for multiple years with the kids she’s watched, and has developed a deep love and respect for this program. As much as she loves performing on stage, she has even more fun singing and dancing in these classes! Megan attributes her love of music to the exposure she had to it when she was young. While Music Together hadn’t made it to her hometown yet, she was lucky enough to have adults in her life who saw music as an important part of development, and an elementary school principal who brought her guitar into the classroom each week for creative and silly music circles. 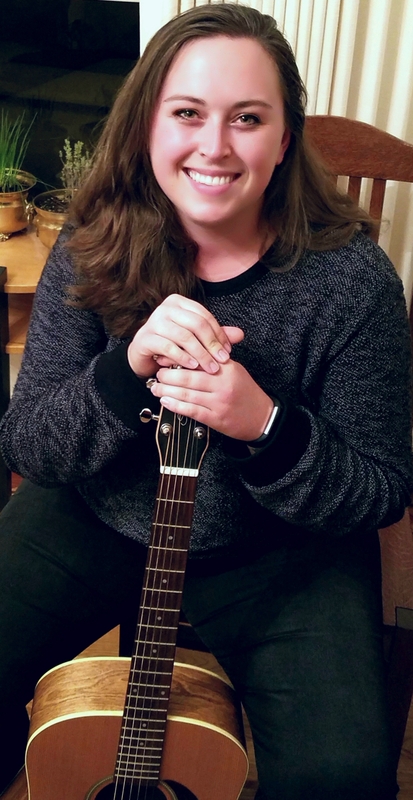 Through teaching with Music Together, Megan hopes to bring the same freedom of expression, love for music, and joy that she found as a child, to families here in San Francisco. "My teaching style is all about having fun! Let’s get together, dance, sing, and be silly! Music is about community, and I want to create an environment where everyone can discover music, free of judgment, and we can show kids that you don’t have to be perfect to be a musician. It’s easy to think of music education as being nothing but repeated scales and nerve-wracking performances, but there’s so much more to it than that! Let’s play and learn together, and most importantly, have fun!" Choose Day & Time below to register for Teacher Megan's classes.